Our Experienced Charleston Divorce Attorney Can Help You With Your Uncontested Divorce. A couple that is involved in an uncontested divorce may use a marital settlement agreement drafted by an attorney. 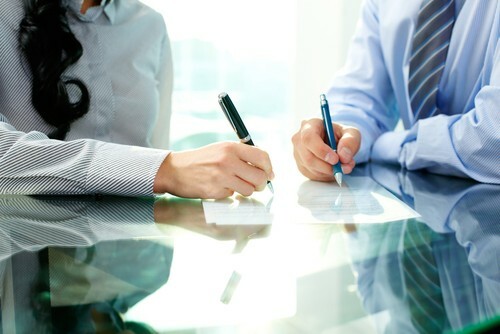 The marital settlement agreement addresses all of the details of a divorce, from financial issues to those related to child custody and child support. All of these areas can be handled in the marital settlement agreement, which allows spouses to avoid a contested trial. Obviously, this is an advantage for spouses who are in agreement and can communicate, as it avoids costly court proceedings and saves time for both parties. It also lays the groundwork for a positive future relationship (especially between parents), and avoids needless conflict within the entire family. In South Carolina, spouses cannot have the same attorney, but one spouse can retain his or her attorney to prepare a marital settlement agreement containing the terms they have agreed on. Once complete, the agreement must be submitted to the Court for approval, and it will then be made a part of the final divorce decree. Dell Family Law understands the importance of working together to achieve a marital settlement that satisfies both spouses. Divorce is never easy, but an uncontested divorce that uses a marital settlement agreement may be the smoothest path to resolving issues of property division and the well being of your children. Please contact our Charleston divorce attorney today to discuss how you can use this type of agreement to finalize your divorce.